If you have been denied disability benefits, do not give up because you have a right to appeal this denial within sixty (60) days of the date of the written notice of denial. The Social Security Administration (SSA) denies nearly two-thirds (2/3) of all initial applications but approves approximately one-half (1/2) of all appeals at the hearing level. • Is the person working? • Is the person’s medical impairment severe? • Does the impairment meet a listing? • Can the person do his or her past work? • Can the person do any other work? Social Security Disability is one of the benefits in the comprehensive federal benefits program that also provides workers with retirement income, Medicare, family benefits and survivors’ benefits. This program is funded by the withholding of FICA taxes from an employee’s paycheck. There are five (5) major types of Social Security Disability benefits that fall into two (2) categories, Social Security Disability (SSD) programs and Social Security Supplemental Security Income (SSI) programs. • Personal Disability. A person must be legally “disabled” in accordance with the federal Social Security Disability Act to collect Social Security Disability benefits. Disability is defined as the inability to engage in any substantial gainful activity by reason of any medically determinable physical or mental impairment which can be expected to result in death, or has lasted, or is expected to last, for a continuous period of not less than twelve (12) months as maintained by the Social Security Disability Act. • Disabled Widow’s and Widower’s Benefits. If you have become disabled within a certain time after the death of your spouse and are at least 50 years old, you may be eligible for Disabled Widow’s and Widower’s benefits. Your spouse must have worked and paid into Social Security in order for you to gain coverage. • Disabled Adult Child Benefits. A child disabled prior to the age of 22, who has a parent who is deceased or is drawing Social Security disability or retirement, may be eligible for Disabled Adult Child Benefits. • Personal Benefits. A person who is poor and disabled may be eligible for Supplemental Security Income benefits. It does not matter if the person has or has not worked in the past for this type of benefit. • Supplemental Security Income Child’s Disability. A disabled child under the age of 18 may be eligible for Supplemental Security Income Child’s Disability benefits. If you have questions concerning this complicated process, the attorneys at McGinn Law Firm can answer your questions and guide you through every step. Am I Eligible for Social Security Disability or Supplemental Income? The basic requirement to qualify for Social Security Disability is that you have become disabled and unable to work in the occupation you did before and Social Security decides that you cannot adjust to other work due to your medical condition, age, education, and work skills. Only total disability is covered by Social Security Disability and there is no coverage for partial or short-term disability. In addition, your disability must be expected to last at least one (1) year or expected to result in death. You do not have to be disabled for one (1) year to apply; rather you can apply as soon as you have reason to believe you will be unable to work for one (1) year due to your disability. You must meet both non-medical and medical criteria to become eligible for disability benefits. You must meet certain “Earnings Tests” in order to collect Social Security Disability benefits. You must have built up enough “work credits” under Social Security rules. A general guideline is that you must have worked in five (5) out of the last ten (10) years. There are special rules for young workers. You must meet a “Resource Test” in order to collect Supplemental Security Income. You must have less than $2,000.00 in assets or less than $3,000.00 in assets if you are married. This includes bank accounts, retirement accounts, cash-value of life insurance and other forms of monetary assets. There are also limits on how many properties and vehicles you may own. The medial evaluation of your case is the same whether you are applying for Social Security Disability Benefits or Supplemental Security Income. Social Security has a specific five-step evaluation process to determine your eligibility for disability benefits. This includes the consideration of your previous and current work activity, your medical condition and how the condition impacts your ability to work. 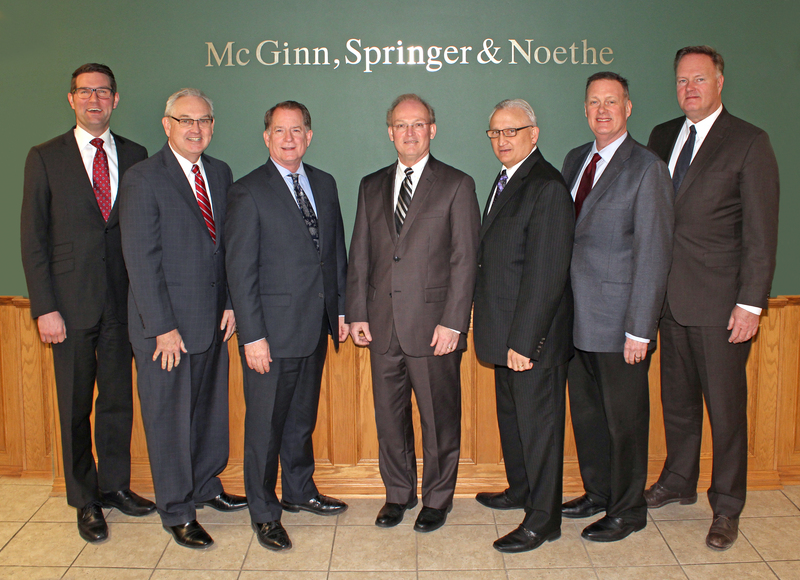 If you have any questions concerning this complicated process, the attorneys at McGinn Law Firm can answer your questions and guide you through every step. What is the Attorney Fee? In Social Security Disability and Supplemental Security Income cases, the attorney receives a contingency fee of twenty-five percent (25%) of the past due benefits or the maximum amount set by Congress (currently $6,000.00), whichever is less. If you receive no monetary benefits, there is no fee. Schedule your appointment for a FREE INITIAL CONSULTATION today. Receive proven legal assistance for your case by calling Norman L. Springer, Jr. at 712-227-5885 or by visiting our office at 20 North 16th Street, Council Bluffs, IA 51501. If you need an attorney, contact our firm. Our experienced, tenacious attorneys will help you achieve the best possible outcome in your case.